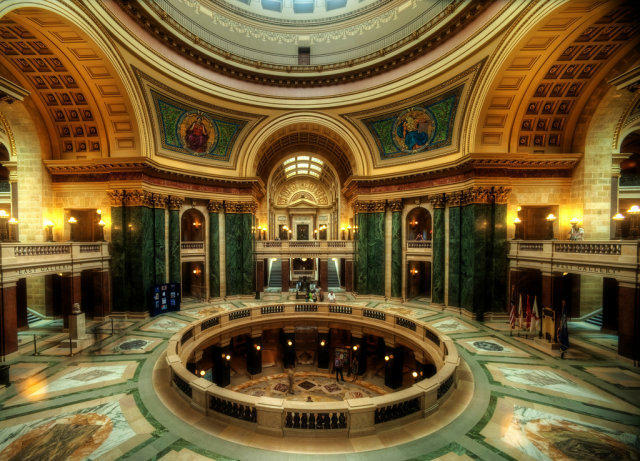 Federal Judge William Conley has issued a preliminary injunction that prevents the Walker administration from enforcing requirements intended to limit demonstrations at the state capitol. 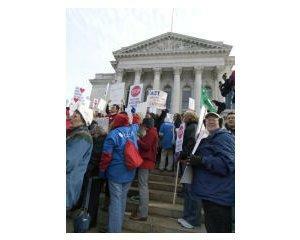 A federal judge is listening to arguments over the rule governing rallies at the Wisconsin Capitol. 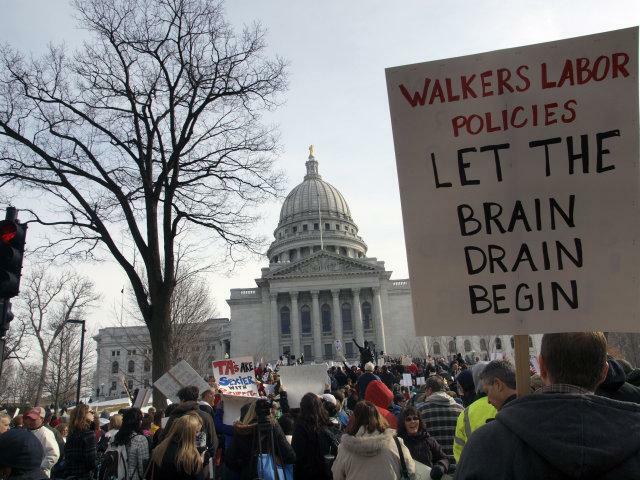 The Walker Administration enacted the rule in late 2011, following weeks of massive demonstrations earlier in the year. Under the rule, groups that want to promote a cause at the Capitol, must obtain a permit, if the rally will involve four or more people. 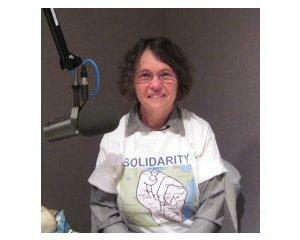 One of the people watching – and taking part in -- the Madison protests has been Margaret (Peggy) Rozga. She’s an English professor at UW-Waukesha, but perhaps is best known as the widow of James Groppi. He was the former Catholic priest and activist who was a major leader in the civil rights movement in Milwaukee in the 1960s. A Dane County Circuit Judge ordered all remaining demonstrators to leave the state Capitol late Thursday. There were about 100 there at the time. Judge John Albert says the building should return to normal business hours. 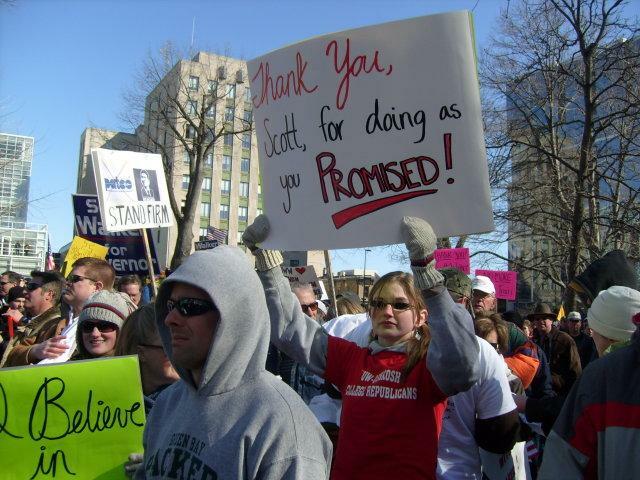 For more than two weeks, the Capitol has been filled the protesters around the clock, most demanding that Governor Walker or the Legislature drop his plan to rescind most collective bargaining rights for public workers. WUWM’s LaToya Dennis is here in the studio with me this morning, with the latest developments. To recap the situation, Capitol police asked protesters to vacate the Capitol late Sunday, so the building could be cleaned. Most did leave, but officers allowed the rest to remain, rather than risk confrontation. Then, the DOA, the Department of Administration began limiting access to the building in order to minimize disruption and return a sense of normalcy. But unintended consequences resulted. Recall paperwork has been filed in recent days for eight Republican state senators and five of their Democratic colleagues. The Government Accountability Board said Wednesday the Republicans targeted are: Robert Cowles, Alberta Darling, Glenn Grothman, Sheila Harsdorf, Randy Hopper, Dan Kapanke, Mary Lazich and Luther Olsen. The Democratic senators targeted are: Spencer Coggs, Dave Hansen, Jim Holperin, Minority Leader Mark Miller and Robert Wirch. Protests in Madison enter a second week today. 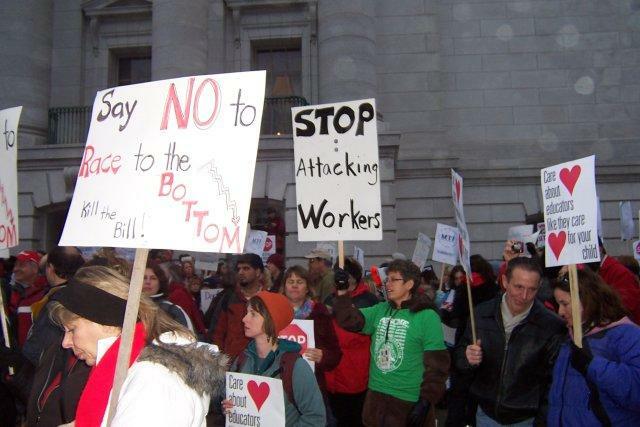 Thousands of people are expected in the state’s capital today to continue their protests against a bill that would strip unionized state workers of virtually all of their collective bargaining rights. 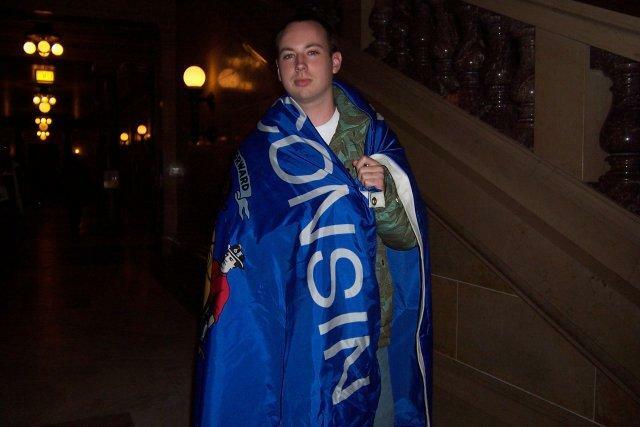 WUWM’s Bob Bach was in Madison over the weekend and joins us in the studio this morning with more on the story. More protests are planned in Madison on Thursday. 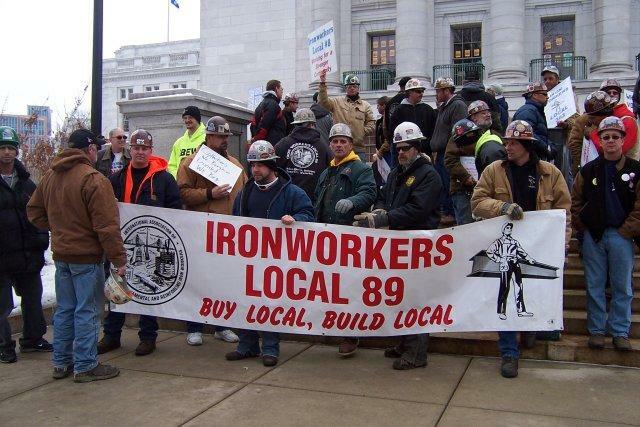 The state Capitol has become the center of opposition to Walker administration plans to virtually abolish state labor unions. 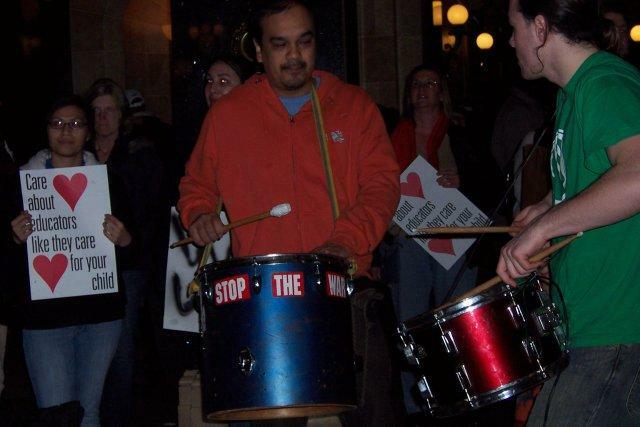 WUWM’s Marti Mikkelson is in Madison and has been speaking with some of the thousands of protesters as well as supporters of the governor's plans. The halls of the state Capitol are expected to be packed again today as the state legislature prepares to vote on a proposal to strip state employees of most collective bargaining rights. Marti Mikkelson is in Madison and file this report. 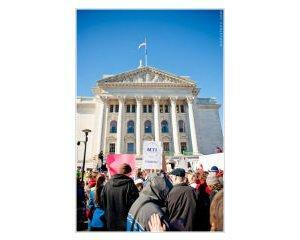 For the second day in a row Wednesday, thousands of people converged on the state Capitol, many of them upset with Gov. 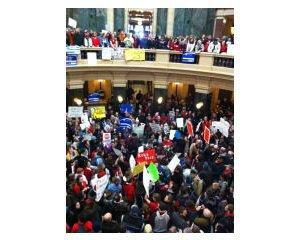 Walker’s proposal to eliminate most collective bargaining rights for public workers.